“Defend our supreme constitution, fulfill your mandates, and protect your lives and those of your families,” a Graduate Research Assistant (Master of Human Rights) at the University of Minnesota tells Gambian army. “The current unpredictable political climate could be peacefully resolved through the unflinching support of ‘fearless and loyal internal soldiers’ of The Gambia armed and security forces,” said Nfamara K. Dampha, a Director of Administration of the National Disaster Management Agency, NDMA, on study leave. He said the armed and security forces are expected to show allegiance and solidarity to the President-elect Adama Barrow when sworn into office on January 19, 2017, in an open letter to the Chief of Defense Staff (CDS) Lieutenant General Ousman Badjie and the armed and security forces. Dampha also said: “Any sign or act of allegiance to the outgoing President [Yahya] Jammeh is legally considered rebellious, unconstitutional, and will tantamount to instigating violence against your own children, wives, brothers, sisters, uncles, parents, friends, neighbors to mention but a few. “Without any conviction of doubt, I am positive that The Gambia armed and security forces will make the Gambia proud again. You will do the right thing on January 19, 2017. “You will defend the constitution of The Gambia and protect the democratic will and choice of the Gambian people. “We know, you are loyal and patriotic to the Outgoing President Jammeh because the constitution dictates so. “We know, you will individually protect your lives, protect the precious lives of your families, and collectively protect the sovereignty of the Gambia and its citizens. 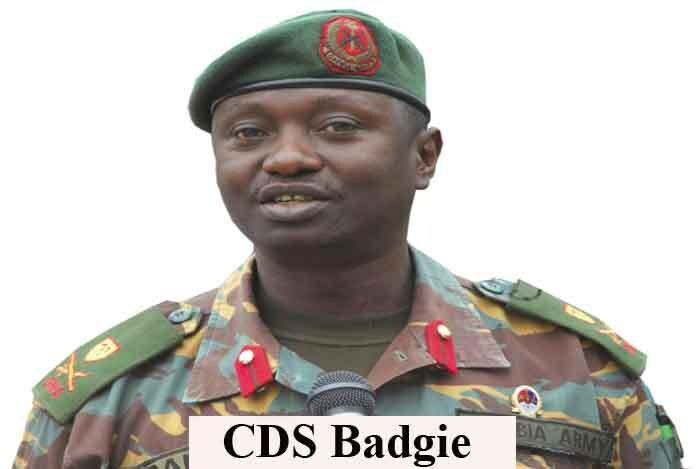 CDS Badjie had, in an unexpected New Year’s message, announced the army’s “unflinching loyalty and support” to President Jammeh. 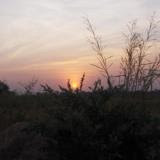 He had earlier switched allegiance to Mr. Barrow before changing his mind. Gambia’s Yahya Jammeh too changed his mind by rejecting the election results, a week after he conceded defeat. He has since filed a petition in court to challenge his loss but it could not be heard because the Supreme Court doesn't have a panel to sit over the case. ECOWAS leaders, led by Nigeria's Muhammadu Buhari, are in Banjul today to secure a diplomatic solution to the political impasse.